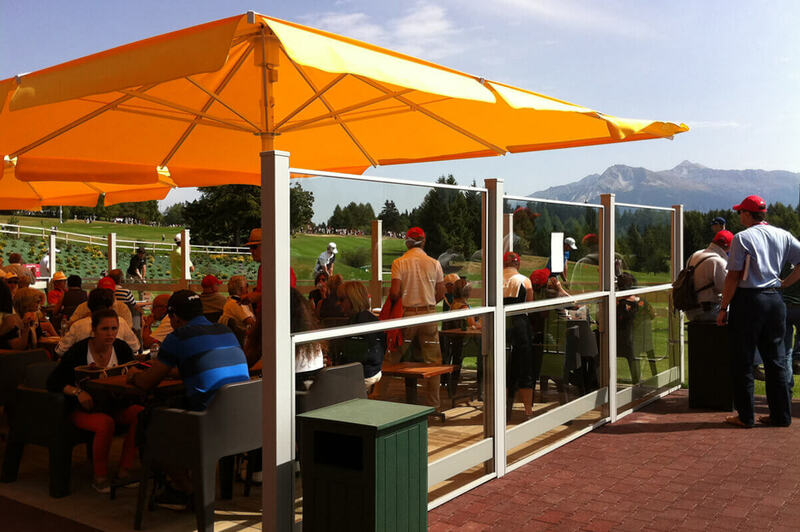 These glass screens are an ideal system for creating and enclosing areas of alfresco dining. 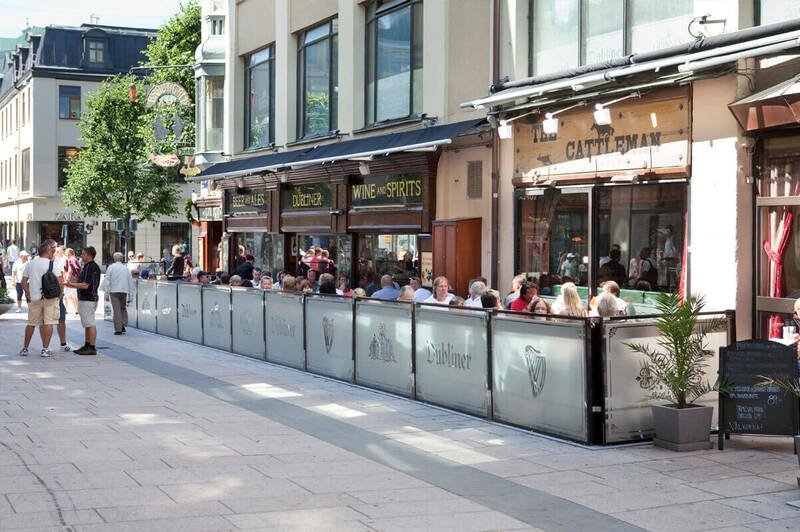 Not only do they extend seating cover for all eating establishments but also enhance high street frontage. The presence of customers sat eating outside can also have the effect of attracting passing trade to come and eat inside too! 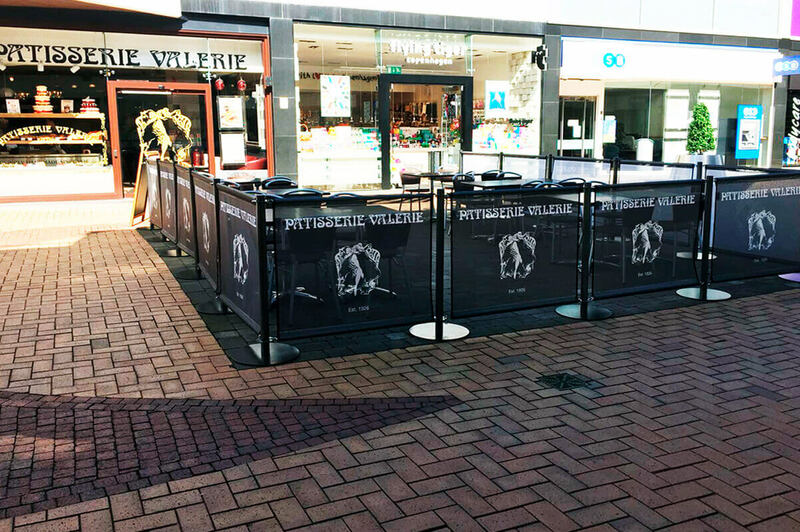 Terrace screens and café barriers supplied by Fiesta, therefore, are the perfect way to develop any commercial premises that can make use of a terrace, patio or pavement space. 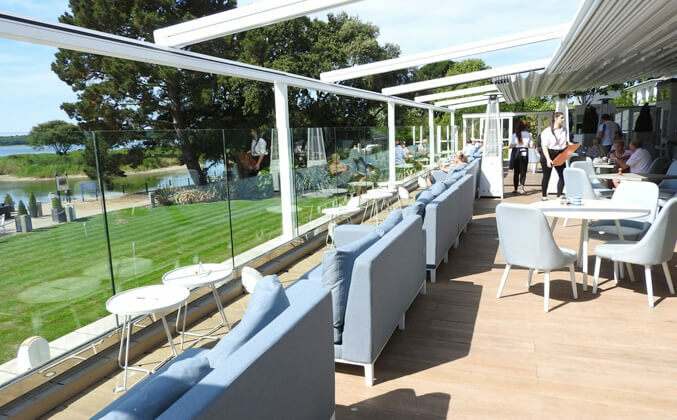 Protecting outside eating areas from the wind and creating a sense of privacy; they can also be combined with other al fresco items such as a retractable roof system and patio heater to provide full weather protection and create a cosy atmosphere even in the colder months. 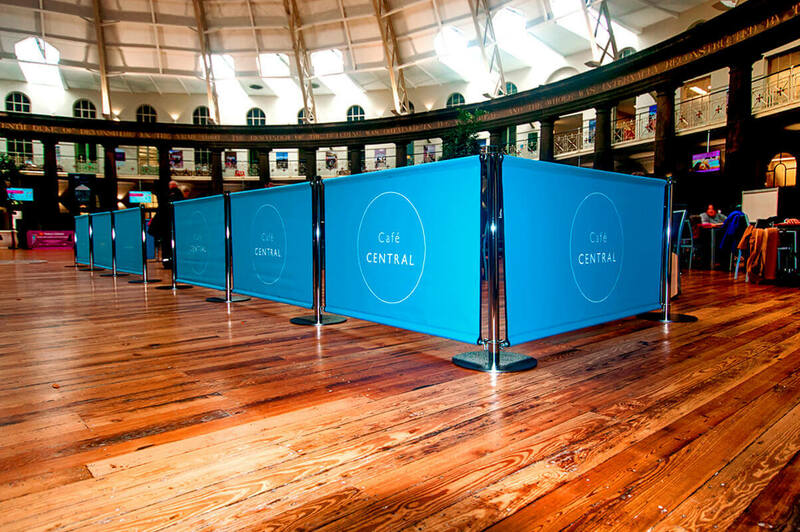 Café barriers are incredibly versatile and are used by a great deal of the commercial sector including restaurants, coffee shops, theme parks, pubs, bars, sports & leisure complexes, schools and in large public gardens/other outdoor attractions. 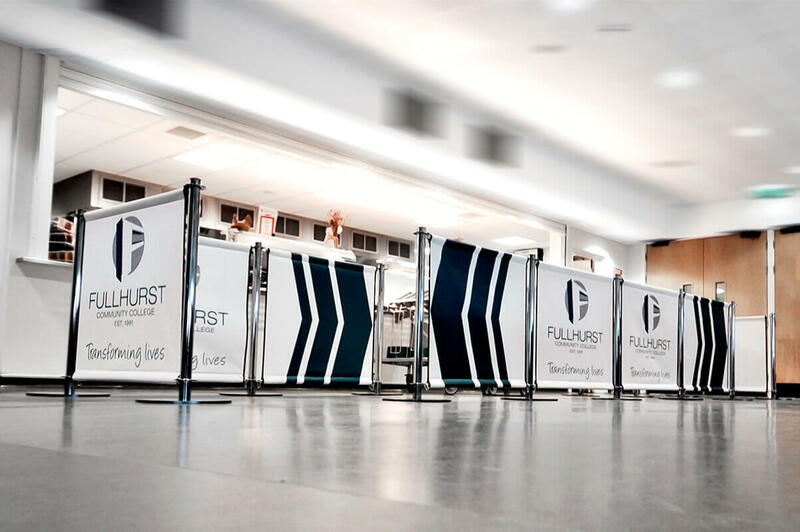 They not only provide a demarcation line for al fresco dining but can also be positioned in such a way to also provide a queuing or waiting area. 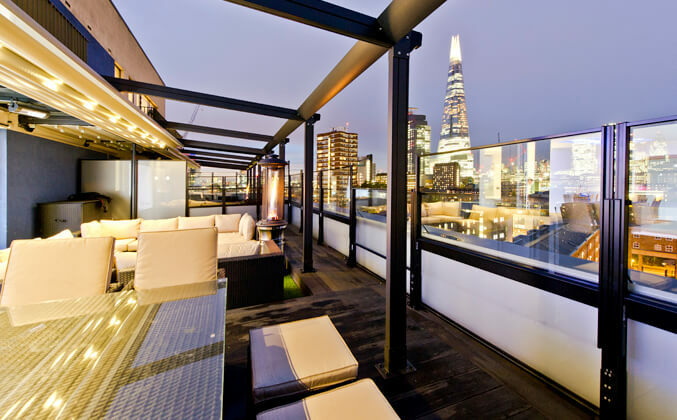 Available in a variety of styles and sizes means that terrace screens can be used to make a style statement in themselves – they are more than just glass and chrome! 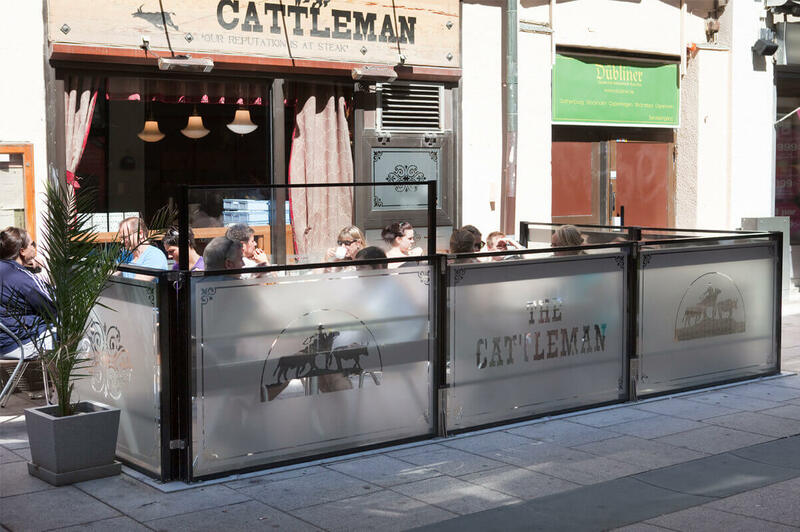 Even the smallest of outdoor ground space can be turned into an additional “room” for customers to relax and enjoy and what may initially look like the most unappealing of outside areas can be transformed with the creative use of terrace screens combined with other complementary furnishings. Glass screens have the additional benefits of advertising and promoting your business. Passing trade is one of the best ways to increase customer base and even those people who pass in their car rather than on foot – will still seek you out if you have kerb appeal. Terrace screens supplied via Fiesta offer bespoke solutions. 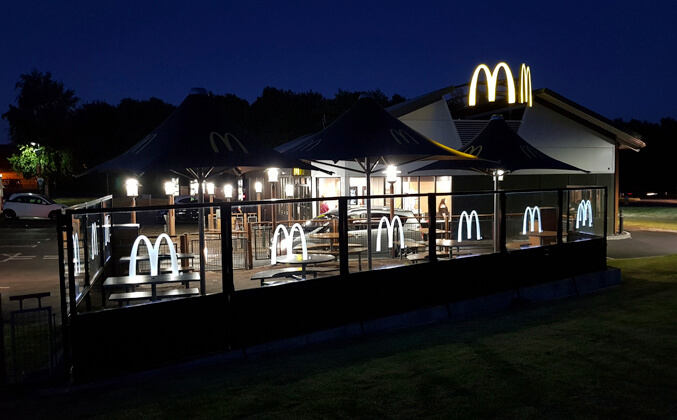 So in addition to an extensive range of standard screens and accessories; screens can be also be supplied to match a colour scheme with logos, branding or some kind of advertising message pre-applied to create maximum visual impact. 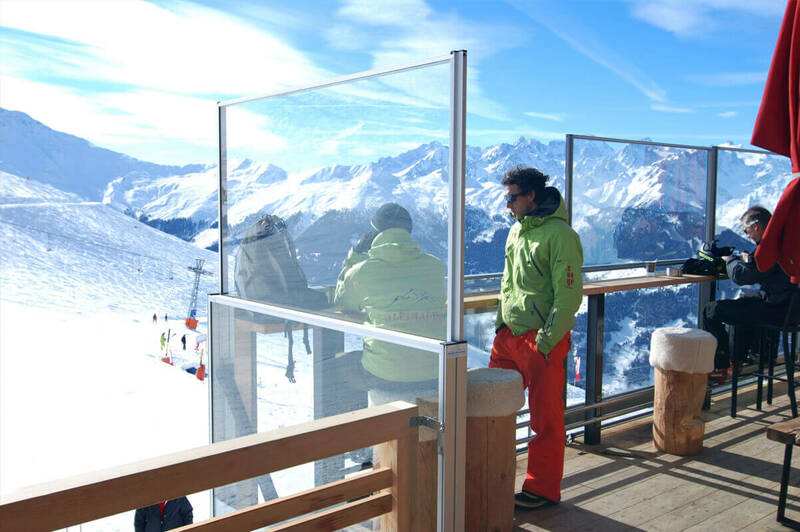 Fiesta terrace screens are made in England; all glass used is 6mm toughened safety glass, so you don’t need to worry about the safety of your screens and anyone who bumps into them! 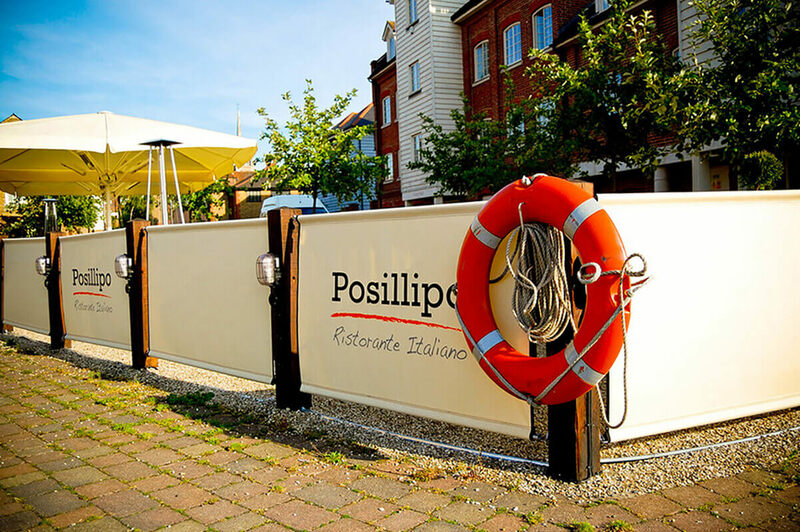 The framework and brackets are powder-coated aluminium and for increased durability; the fixing hardware is hot-dipped galvanised steel. Fiesta screens require minimal maintenance and look fabulous for many years. They are both a cost and time-effective way of freeing you up so you can focus on serving those extra customers!